23 Video – the new web-tv platform is launched! Wednesday was a big day with the launch of 23 Video – a sophisticated, but simple platform enabling people/companies to launch their own web-tv site in 2 mins. The launch event managed to fill up Radiohuset, studio 2, (the old Danish radiohouse) with more than 200 people eager to hear about this new product from “23” called 23 Video – and making the launch in the radiohouse, where the first Danish Tv-programs were send 60 years ago made the statement even clearer. Now everybody can launch their own TV-station online – and with 23 Video its really just a matter of minutes. The launch event went really well. More than 200 people – yes, it was overbooked and some of people who came a little late like Morten Lund even had to sit on the stairs…. Thomas Madsen-Mygdal started “the show” describing the product and the “market” where a online tv-station project usually takes a lot of time and lots of money – something which will be changed with the entrance of 23 Video. Ulrik from Mediacom then when to present the status for online video and his view about the future – YouTube is exploding in usage and online video has just started. I mean somebody needs to pour up the champaign for all the people..
Thanx to Thomas and the team for letting me be a (small) part of this! Use 23 Video to build you own online Tv-station – 14 days free trial! 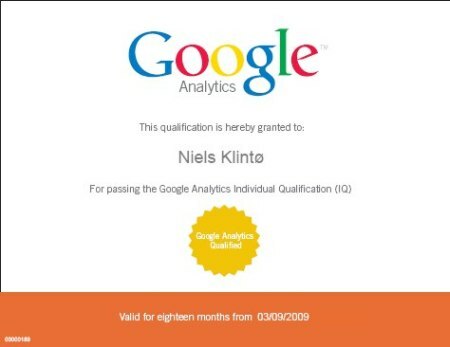 Google describe the The Google Analytics Individual Qualification (or Google Analytics IQ) as “a proof of proficiency in Google Analytics that is available to any individual who has passed the Google Analytics IQ test”. But try doing the GA Online course without any experience with Google Analytics from some sites and I don’t think you’ll pass… But do tell me if you succed! Ouch, it’s quite a beating that Yahoo! Advertisning has taken in UK – 40% down from 2007 to 2008 even though the Search marked went up 11%. Is it really only US and Japan that can show the advertisers a good reason to spend time on Yahoo! ? 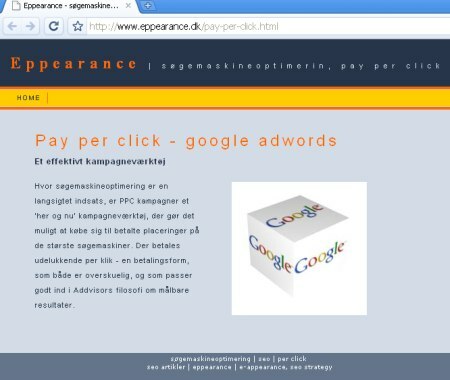 And btw your links in the bottom is not active, your HOME button is out of order and you’re SEO… hmm…. I’m sorry, but the blog by Dorte Toft is only in Danish and I wish you all could read it. Dorte has been doing an incredible piece of work in bringing the IT Factory scam out in the light – Dorte Toft was THE person uncovering that something was very wrong in IT Factory and how Stein Bagger used fake university degrees ect.. and she did it when nobody believed her and IT Factory lawyers on her ‘tail’… now I guess these lawyers has their tails in between their legs..
Its not that I use too much time looking at house prices in Denmark, the Baltics or anywhere, but this list I did find on the Danish finance website Netposten did bring in a couple of surprises for me..
Lithuania up 7,5% – really? 26,9% up in Russia and 26,8% up in Bulgaria… wow, that incredible! Happy I’m not local and need a hourse..
Changes in house prices fron 3rd quarter 2007 to 3rd quarter 2008. Always nice being out travelling and Las Vegas and the conference PubCon on SEM was just great, but is also nice being back again – even though Denmark is cold (they even predict snow tomorrow) and I’m still a bit jetlagged..
PubCon is full of SEM inspiration!